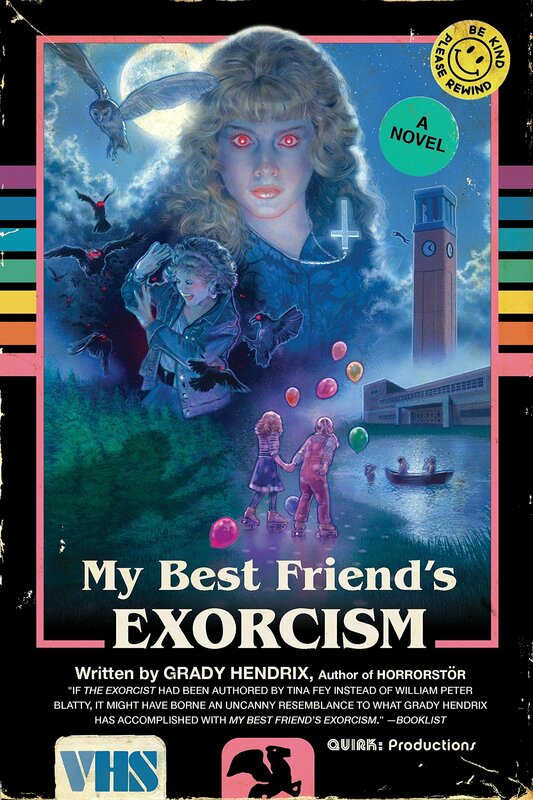 It’s 1988 and Abby’s best friend Gretchen has just been possessed by a demon. At least, no one knows she’s possessed until it’s almost too late. One night, Abby, Gretchen, and their two other best friends decide to try acid and go skinny dipping. Gretchen dives off the dock and is suddenly missing…for the entire night. The girls don’t find her until the next day – naked, filthy, shivering, and with no memory of what happened. From that moment on, Gretchen is different. She’s moody, despondent, stops taking care of herself, and weird (really weird) things start happening when she’s around. Soon their friend group nastily dissolves and it’s up to Abby to figure out what happened to Gretchen and hopefully get her back to her old self. Perfect for fans of Stranger Things, My Best Friend’s Exorcism is humorous, creepy, and full of 80s nostalgia. Each chapter is named after an 80’s song leaving you with a killer playlist to listen to after (or while!) you read it. If you’re looking for more creepy 1988 set stories, then check out the graphic novel series Paper Girls! Click here to request My Best Friend’s Exorcism.